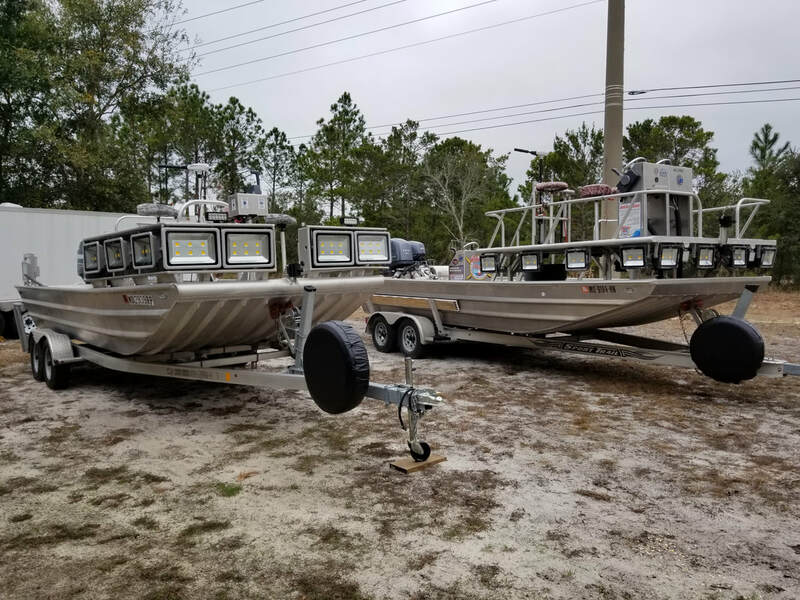 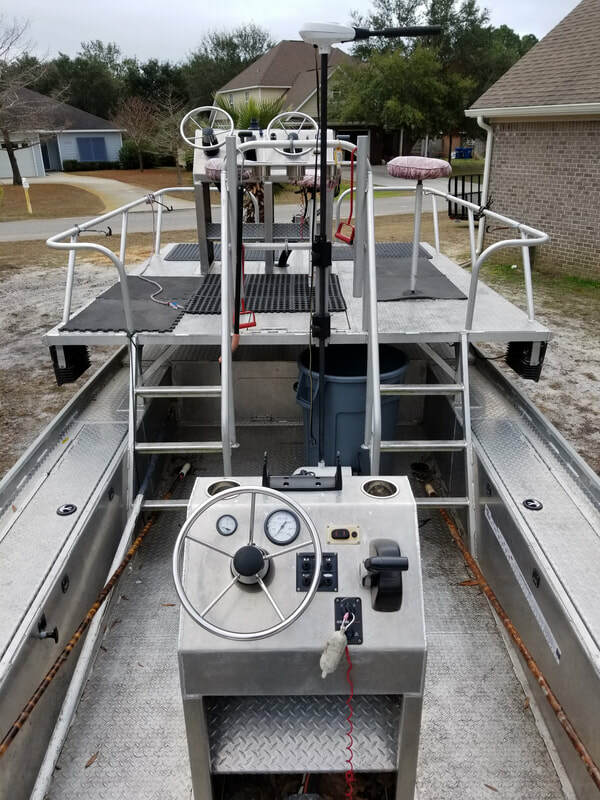 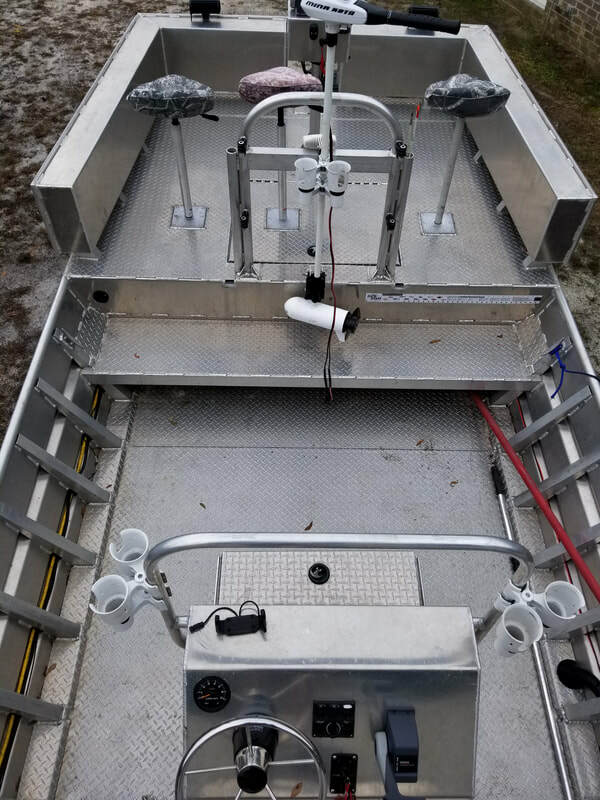 The boats in our fleet are 20ft aluminum flat bottom boats that we use for both Bowfishing and Inshore Fishing. 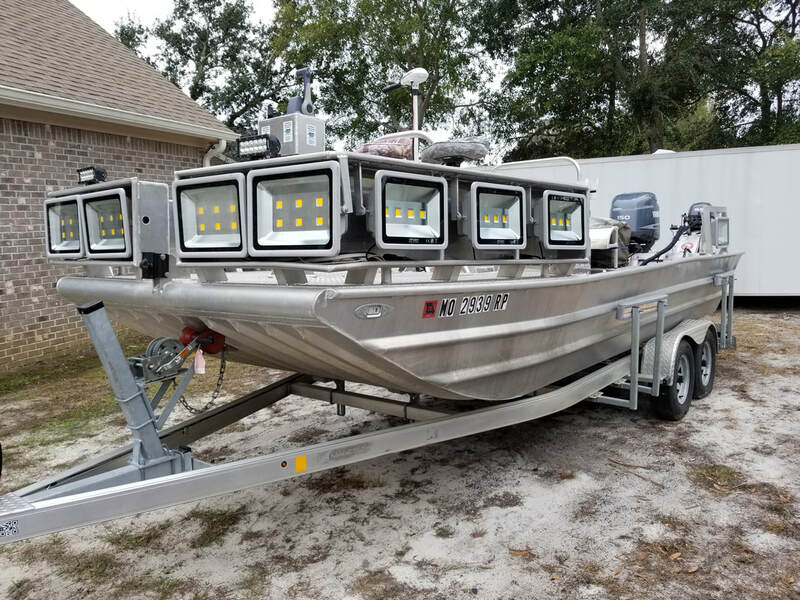 Very unique boats with super bright LED lights surrounding them and makes the water come alive at night! 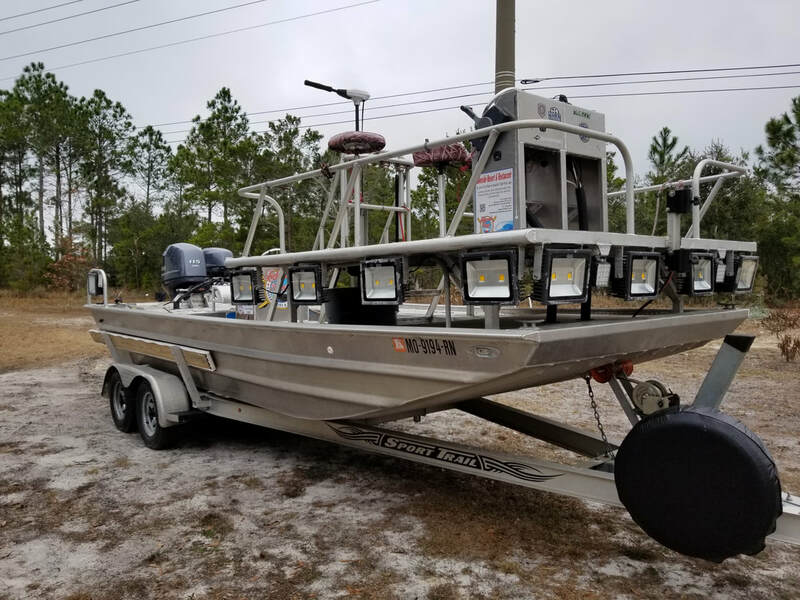 The boats are very safe for kids and fun for the whole family!